Ernest Hemingway's grandson John and Robert McCracken Peck, a senior fellow at the Academy of Natural Sciences of Drexel University in Philadelphia, offer a piece in the Philadelphia Inquirer on Hemingway's work as a conservationist. 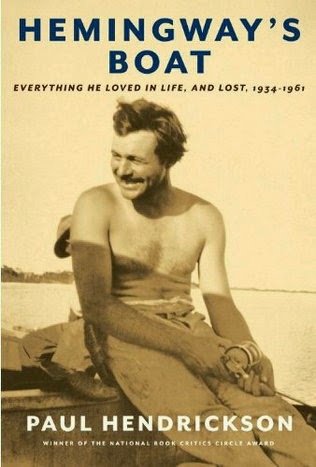 In the spring of 1934, Ernest Hemingway invited noted ichthyologist Henry Weed Fowler, of Philadelphia's Academy of Natural Sciences, and Charles Cadwalader, the managing director of that institution, to travel to Cuba and join him on his beloved fishing boat, Pilar. Affectionately referred to by Hemingway as the "scientificos," their purpose was to conduct marlin research in the Florida Straits. From late July through August, as they plied the waters between Cuba and the United States, the three men fished for, observed, and discussed marlin, sailfish, tuna, and other big game fish. They continued to explore the subject through correspondence in the months and years to follow. This little-known interest of Hemingway's in recording and understanding the natural world, instilled in him as a boy by his physician father, Clarence, produced much new valuable information on Atlantic game fish and led to the creation of a Hemingway archive at the academy's natural history museum. On this, the 80th anniversary of that important collaboration, the Hemingway family and the academy are again joining forces to promote the conservation of marlin and other billfish populations in the waters between Cuba and the United States, despite the political tensions that have long existed between the two countries. ... Ernest Hemingway as conservationist may not be an image that readily comes to mind for most people, yet as movingly portrayed by Paul Hendrickson in Hemingway's Boat: Everything He Loved in Life, and Lost, 1934-1961, the author was indeed passionate about exploring, observing, and understanding the natural world in order to better preserve its resources.